When you find yourself at a crossroad, do you take the most familiar route or do you take a chance on a different path, in the hope that you will discover something new and exciting? Whenever I’ve been faced with the decision to drive along the faster, more commonly used road, I always prefer to take the scenic route. And, I am rarely, if ever, disappointed. The ride may not be as smooth or as safe, but I wouldn’t have it any other way. The insights and adventures far outweigh the intermittent bumps. Bumps are, after all, simply life lessons in disguise. 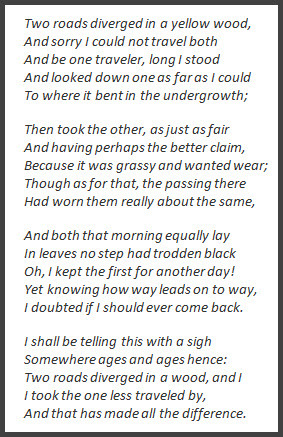 I dedicate this Robert Frost poem to all of you who, like myself, prefer to take the path less traveled. Photo Credit: Copyright © 2013 by Heather Joan Marinos. All Rights Reserved. 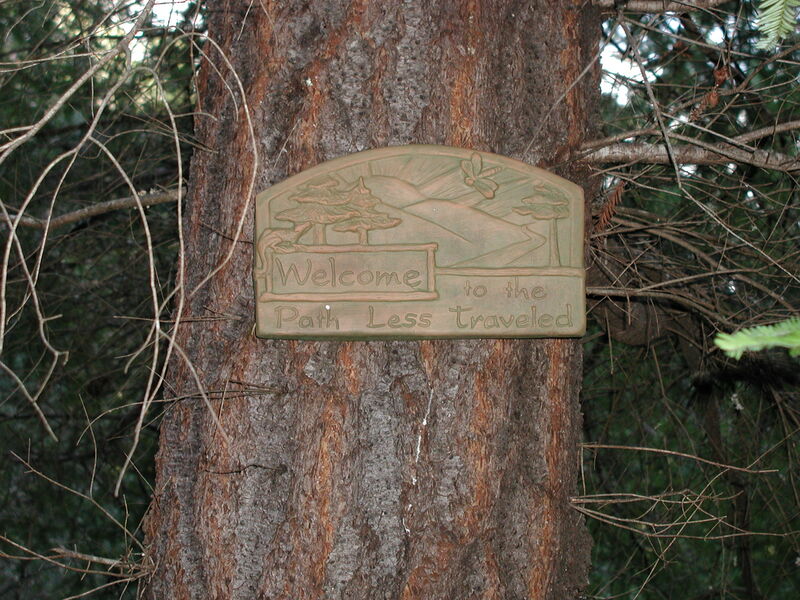 This entry was posted in heatherfromthegrove, inspiration, lessons learned, other musings, spirituality and tagged Heather Marinos, heatherfromthegrove, Robert Frost, Taking the scenic route, the path less traveled, The Road Not Taken. Bookmark the permalink.